Home Celebrities Youtuber PewDiePie: The Best Game-Player on YouTube. PewDiePie: The Best Game-Player on YouTube. YouTube can be a media for us to show our hobbies and if you are focus to show your hobbies to YouTube, you can be a celebrity. It happens to many celebrities who are popular from their YouTube accounts, such as Justin Bieber, Ariana Grande, Sam Tsui and many more. 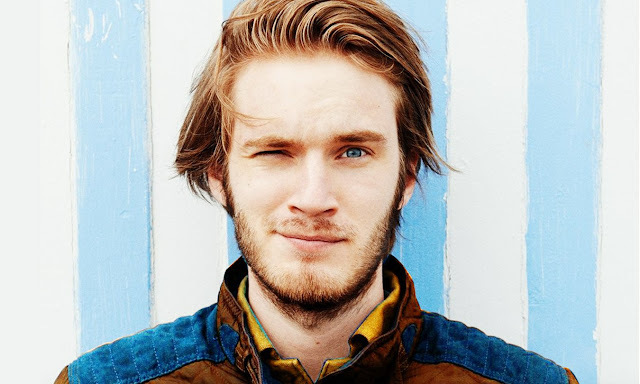 I will tell you my favorite YouTuber, he is Felix Kjellberg or famous by name of PewDiePie. He plays what he wants play and the game that bring his name to the top is Amnesia. The horror game that is popular at that time. Honestly, the first video that I watched from his account is when he played Slender. The indie horror game that is very simple but hard to accomplish the mission. He is really funny when he played it which makes me want to watch more videos of him. Because of his good-looking face, funny expression and natural attitude, he becomes famous which every gamers surely know him. Sometimes when he plays the game, he talks nonsense. It probably just makes him relax and not scared. But, when he did that, it becomes funny. My favorite videos of him is when he makes a funny montage of himself. I always laugh when I watched his funny montage. Most of his video in funny montage is when he played horror game, and he got scared because of that. It is really funny to see him jump, yell and surprise because of the horror game. What makes him funny is because he is doing it natural. The way he talks, does not filter the words that come out from his mouth but he knows if he says badly about something, he directly says apologize. Moreover, he just shows himself about what he likes and don’t. He even tell about his girlfriend who is also a YouTuber. In my opinion, he is so honest. When he likes a video game, he will tell what he likes from it, and when he hates something, he just tell the reason. 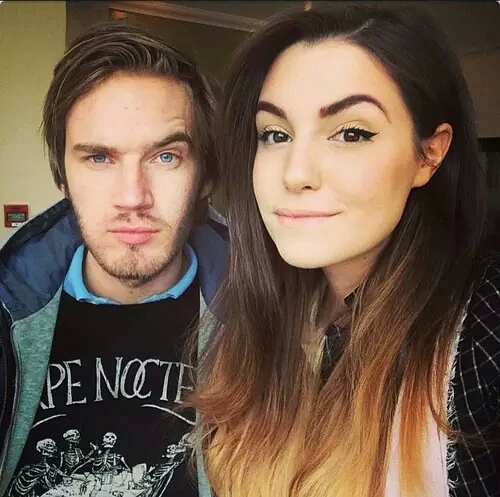 The most amazing thing that I found from him is that he did not embarrass to say that he loves Marzia, his girlfriend, in his video. Moreover, they are still together until now. Hobby can be very useful for us if we stay focus on that. Just like what PewDiePie did. He bravely out from his college to be focus on making video. His efforts to make the video is really amazing, because we can see the result that he can earn money from it and he has a better life comparing when he is still study. What I want to tell you is be focus on what you like. If you like writing, just write it and if you like playing game, just play it. You have your own life and who can decide what kind of life you will have is you. Just like what he says “Life is too short to focus on the things you hate. Focus on what you love instead”. he last sentence. It's make more sense and everyone must be agree. So do I. :) Keep on writing! And I'll read them all. Someday, be honest, I am going to show you my writing too. It must be nice that I could share what you want to know and you share what I don't know. Really? all of them? It's very nice of you. Still many of grammar errors in my writing right? lol. I like writing now because I'm inspired by you.. Thanks for the encouragement..
Haha of course I promise. I think your writing will be good. I can see it from the comments that you left. Also, I have to say thank you because you encourage me to write more. You know, your comment makes me speechless. I don't know what I have to say. I am just excited knowing that someone get inspired by me. Roger that! Surely, I will keep writing.. no matter how other people say.. I just put my ideas, my experience in my writing. I really love how people say about my writing and give comments on my blog. Just like what you do. Actually..... all my writings, entirely, use Indonesian language.. Not in English..I'm sorry. I did not have any confidence yet to write my article in English because of I surely lack of vocabulary. May I request to you about the topic? I'd love to read some article about Bandung special culinary.. May I ? Yup, you may, and I have written that. The title is Steak Ranjang. Hope you like it, by the way have you ever try Steak Ranjang?